Looking for ways that you can improve the play time of your kids? Why not buy or build a toy food truck for them! It’s a great opportunity to teach a variety of life-long skills like entrepreneurship, counting, reading, and of course it’s a whole lot of fun for kids of all ages. Some of the toy food trucks are highly interactive with horns and megaphones that can make the experience fun for older kids as well. If you are sold on the idea of letting your kids play on pretend food trucks, then here five awesome ideas that you can try. Some of these can be purchased at your local department store others can be built yourself if your on a budget or enjoy do-it-yourself projects. Got a large cardboard box taking up space in the house? Transform that boring cardboard into a BBQ food truck toy as shown in the video below. While the toy food truck is just made from cardboard, it does not lack the details that one would expect from a real barbecue grill food truck, including a menu, sign, serving window, and attractive flame wrap. Kids can even carry small bottles of toy condiments inside the vehicle. Unlike other toy trucks, this one does not have actual wheels, so kids will just have to drag it along. Overall, it can still be a great deal of fun for a kid with a very active imagination. Of course, you need to do your part as well in assembling and putting it together. If you’ve got an artistic streak in you this could be the weekend project you’ve been waiting for. On the first part of the video, the children play around while pretending to order from a food truck. They try to order food like they would from a regular food truck. Playing about ordering from a food truck can come in handy when kids would have to actually deal with other people in real life. It’s like practicing for the time when they have to order from a real store and in this video, the kids actually got to do that. Towards the end of he video, they walked up to an actual food truck and they ordered food. The amazing thing is that they got to do what they have been practicing. Aside from the actual playtime that your kids will get with the food truck, you can also have fun assembling the toy as a family. In this video from Hobby Kids TV, you’ll learn more about the Antsy Pants food truck. If you’re not familiar with Antsy Pants, the company produces a variety of toys you assemble yourself, including play houses, lemonade stands and even boats. The cool thing about this line of toys is that they encourage child creativity. The parts from different build sets are modular and can be pieced together to make something completely brand new each time you play. Of course, each package comes with instructions and parts to assemble a specific toy like a food truck in this example. Aside from the actual truck, the set also comes with all the accessories that are needed for running the truck. Kids can learn how to make different types of foods and dishes that go with the set. They can learn how to make potato soup and pasta. They can pretend to prepare hot dogs and other popular food truck options. Kids can have a great deal of fun with the various combinations that they can make. Who knows, you might get your kid interested in becoming a chef, engineer, or entrepreneur because of the foundational skills they developed here. This video highlights the Food Truck 2-in-1 from Little Tikes. It starts off with the unboxing of the toy which is always a very exciting part of toy videos. If you a new food truck toy that requires only a few minutes to assemble this is the way to go. As you’ll see in the video the pretend ice cream truck allows you to serve cones, sundaes, hand sink, cash register and more. After that, they show the food truck that has been set up already and then they go through the different features of the toy. It even has a grill a lot like an actual food truck. Then they go through the ordering and the actual preparation of the food. That is the part where the kids can learn so much. Unlike the other toys, this one is not really a truck but more just like a stand. Still, it’s a great deal of fun. In this pretend food truck idea, there is no need for a toy truck. It’s enough to have a toy set of cooking equipment. At the start of the video, there is just a stand with sweets and various pastries. The kids rush in and they start ordering. For their orders, they get actual ice creams, which any kid would appreciate. As you can see, you don’t to have a toy truck in order to play pretend food truck. What you need is a great deal of imagination and to have lots of fun while playing with your kids. 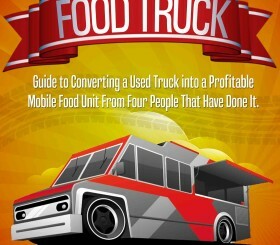 So, which food truck idea would you like to try out for your kids? You can buy the toys that are featured on the videos, or you can also just rely on your imagination, like other kids did. It is totally up to you. The important thing is for you to have fun when playing. As a parent, you also have the ability to incorporate life-long lessons with this fun play. For example, you could encourage children to buy ice cream using pretend money. This helps build basic math skills by explaining how to determine the amount of change you need in addition to role playing an everyday activity. When kids operate the toy trunk they also begin building important job skills like customer service and interacting face-to-face with people. The educational opportunities are almost endless if you’re able to be a bit creative.